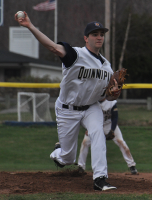 Quinnipiac’s Nick Fabrizio pitches in game 2 of Saturday’s doubleheader vs. Fairleigh Dickinson. Quinnipiac’s Forrest Dwyer fields a ball in game 2 of Saturday’s doubleheader vs. Fairleigh Dickinson. Quinnipiac’s Chris Caldari swings in game 2 of Saturday’s doubleheader vs. Fairleigh Dickinson. Quinnipiac’s Matt Siciliano pitches in game 2 of Saturday’s doubleheader vs. Fairleigh Dickinson. 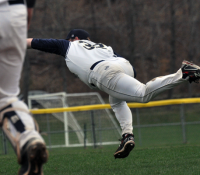 Quinnipiac’s Matt Siciliano makes a diving catch on a pop-up bunt in game 2 of Saturday’s doubleheader vs. Fairleigh Dickinson. 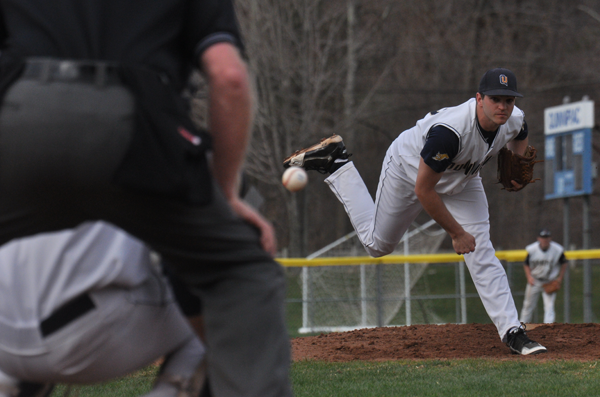 Quinnipiac’s Matt DeRosa pitches in game 2 of Saturday’s doubleheader vs. Fairleigh Dickinson. 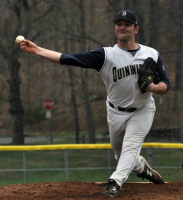 Quinnipiac’s Kevin O’Connell pitches in game 2 of Saturday’s doubleheader vs. Fairleigh Dickinson.